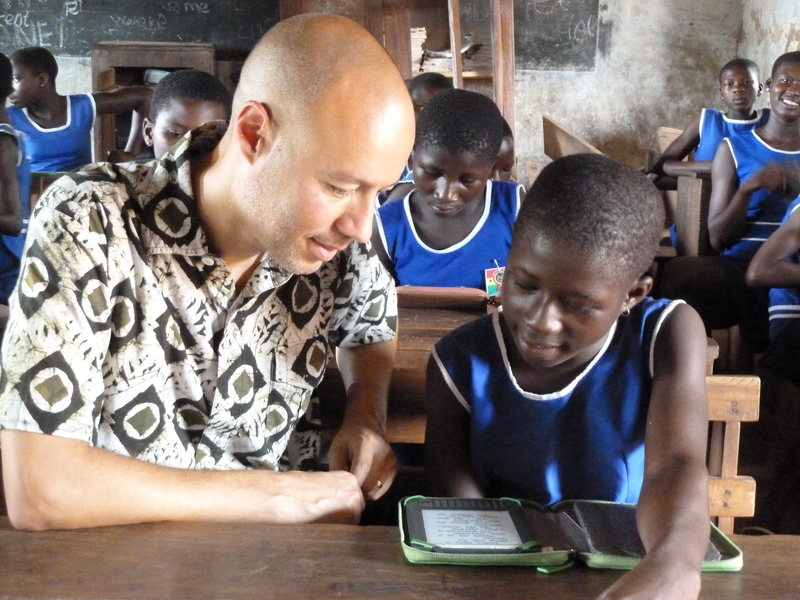 Children in Ghana use e-readers to access books. Mobile phone use is booming in the developing world; while mobile subscribers are only expected to grow by 1% in places such as the US and Europe in the next 5 years, in emerging markets this number could grow by 10% or more. In the past few years many companies have emerged who are using the growth of mobile in developing countries to provide information to citizens, monitor aid projects, save money, and now, even teach people to read. In countries where textbooks are an expensive and scarce resource, the increasing prevalence of mobile technology is becoming an important tool for education. Organizations such as World Reader are bringing e-readers to those in low income countries, and several recent studies have examined the benefits of using mobile phones as a learning resource both in schools and at home. A report by the UN education agency UNESCO examined mobile reading habits in seven countries: Ethiopia, Ghana, India, Nigeria, Pakistan, Uganda, and Zimbabwe, and found that hundreds of thousands of people are using their mobile devices as a way to access full-length books and other reading materials. Through a survey of almost 5,000 people, UNESCO discovered that the main reason respondents used their phones for reading was convenience, saying that “mobile reading is popular for a reason that transcends political and cultural boundaries…people appear to like mobile reading because their device is ‘always there.’” Affordability of mobile books versus paper books was also cited by respondents, as was the accessibility of a wide variety of mobile books in areas which often do not have libraries or a way to get printed content. 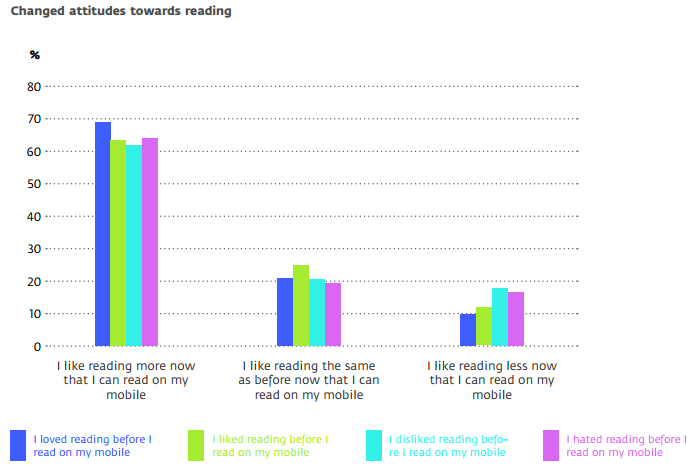 While most respondents already liked reading, a large majority of participants said they enjoyed reading more after they were exposed to mobile reading. Another study looked at the use of mobile in schools in Papua New Guinea to determine the impact of learning via text message on children’s reading comprehension. Through an experiment conducted in two similar elementary schools, it was found that children who were given lesson plans and read stories in English by SMS messages had significantly more improved reading comprehension than those who were not read mobile stories. They found that daily text messages sent to teachers improved the students’ fluency and ability to decode English words. In addition to reading, mobile can be used to support other education programs; in Uganda, project supervisors are using mobile to share feedback on use of donated textbooks and science kits in schools, which allows them to keep track of over 650 schools across a large geographical area. Without this technology, many of these schools would not have provided regular reporting, hindering implementers’ ability to accurately gauge the success of the donated supplies. There are still challenges that need to be overcome in developing countries before mobile is part of every lesson plan: without widely available electricity, use of any technology in education is limited, and for certain programs training will be needed so teachers can implement new tools effectively. Sustainable solutions are also necessary, so learning can continue after an initial research study or round of funding has concluded. Despite this, it is clear that technology, in particular mobile, brings many exciting possibilities to education in regions where a better education could lead to economic growth and improved lives. Picture via World Reader and Wikimedia, liscensed through Creative Commons.